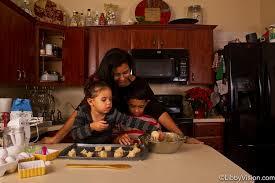 When my kids were little… Christmas involved a big family traditional celebration. You know… Church programs, gifts for each child, cookie making, Christmas dinner and the list goes on. 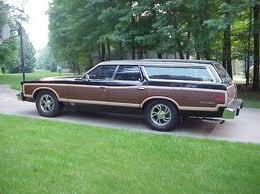 With 6 kids it was a big deal. When they were older we changed our family tradition to opening all Christmas presents on Christmas Eve beginning this event with their dad reading the Christmas story from the bible and then prayer. Christmas day was a birthday party for Jesus celebrated with a family dinner gathering. It was Jesus day! Now that my 6 children are grown and living on their own…my husband and my tradition has changed once again. 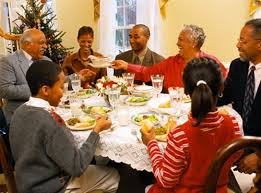 Our tradition now is a family dinner and a small amount of gift giving. I have a new philosophy about Christmas now at my ripe old age of 62. 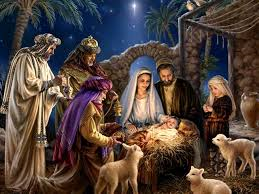 I still think celebrating Christmas is a wonderful idea because Jesus was born and without His birthday we humans would not have had an opportunity to get right with our Holy God and have a chance for eternal life. 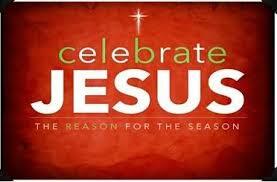 My focus has shifted now to celebrating Christmas throughout the year and this also includes Resurrection Day also. 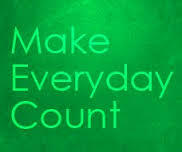 I have one focus now days and that is to be all God wants me to be every day. My focus is on pleasing Him and sharing the good news of Jesus Christ. Every day for me is celebrating the birth, life, death and resurrection of Jesus. I see my life these days as being all about my Triune Father God. Every day I look for some who needs encouragement or who needs Jesus. I’m also very grateful for my immediate family(husband and kids) and spend the other part of my time/life holding them close to my heart. So I do celebrate the holidays but my focus is shifted. I’m not saying others should adopt my views…I’m just saying this is how I’m feeling at this time in my life. 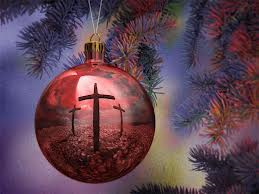 Christmas without Jesus and Easter without Jesus is what?…………..
Jesus is every day …all day and all night. 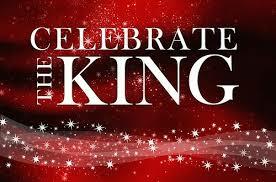 He is to be celebrated and praised 24/7. There is one tradition that Jesus commanded us to celebrate and that is Holy Communion. I do that often whether at church or at home. Jesus felt that His death, resurrection and His sacrifice is important and I’m sensitive in what’s important to Jesus. If the true meaning of Christmas has gotten a little away from you….you can put the focus back on Jesus. Think of a new tradition to incorporate more of Jesus into your Christmas celebration. See where you can tone down the commercialism and bump up the giving to others and keeping more of a biblical view of Jesus birth. We humble ourselves before you and thank you for sending your precious Son Jesus so that we can be in a right place with you. God…we thank you for all the love you’ve shown us. Lord as we celebrate the birth of your Son….please know that we worship and praise your Son Jesus for all the love He’s bestowed on us by sacrificing His own life for us. I pray for those who have lost loved ones and miss them so much during this Christmas season. I pray for those struggling financially and won’t have much during this time. 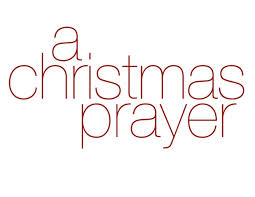 I pray for those who are sick and for those who are suffering from depression during this season. I pray for those who need a Savior. I pray that as this year closes out that there is still time left for people to spread your love and let their light shine for you. Thank you for all the grace and mercy you’ve extended to us this year. 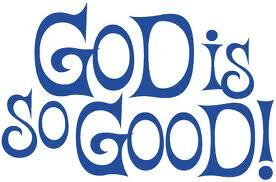 Father God we give you all the praise, honor and Glory that you deserve and we ask these things in Jesus name….Amen. I wish and pray for all my blog followers to have a very happy and safe Christmas! I love you guys! Mathew 1:23 “The virgin will conceive and give birth to a son, and they will call him Immanuel” (which means “God with us”). Look for my annual New Year’s message. Christmas Day…The start of the blessing! Today many Christians are celebrating the good news of the birth of Jesus Christ…God’s only son who came to earth to save us from our original sin… a permanent from separation from God. His birth made it possible for us to have eternal life in heaven with God and also for us to be able to have Gods Holy Spirit inside of us and for us to have an abundant life while we are here on earth. 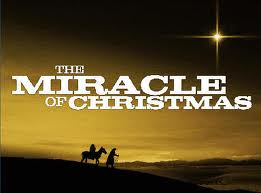 This day…Christmas…is a wonderful reminder about the miracle of Christmas…the celebration of Jesus birth….but this is not the exact day He was born. 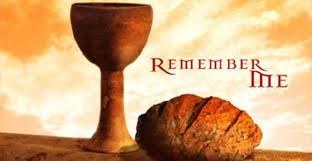 I believe God wants us to take in the entire events of Jesus time on earth with the main focus on the thing He reminded us to do which is to take communion often in remembrance of the sacrifice He made for us. It’s good to tell the Christmas story and I’m so glad we do and I believe it’s a very important celebration….it marks the day that God came to earth….Immanuel! To me…it’s important when thinking about Christmas…to take in the whole reason as to why God did this….to ponder His whole purpose for coming to earth. God came to earth, grew up into a man, did amazing miracles, allowed Himself to be brutally tortured and killed and returned to heaven and now awaits for the fruit of His labor…which is us who have repented of ours sins and accepted His Son Jesus as their Lord and Savior. 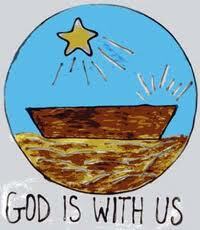 It is the whole picture of the birth of Jesus that we should ponder. Christmas means something!! It was the beginning of a promise made to man. A promise that was kept. Christmas is a gift…the most special, expensive, costly gift anyone could EVER give anybody….A promise of a baby to be born who is God who actually walked this earth….God was here for 33 years…He was with us. God truly cares for us!! Can you imagine that the God of the universe…the creator of all…this powerful, Holy being would actually come down here just to save us? Don’t you feel special? Don’t you feel so blessed? Don’t you feel so good as we celebrate the birth of the promise fulfilled? Do you get the whole picture? I do……..
Oh my God…Oh my God…what you have done for me!! Oh my God….my Lord….my Master!! Oh my God…How you must love us!! Oh God…when I think about this love you have for your creations and how you’ve done everything in your Holy power to make sure we would be with you forever…I melt under the power of that love. Will we never understand how much you love us in these mortal bodies. The depth of your love for mankind is unfathomable. Oh how much you love us! Christmas is the expression of your love. 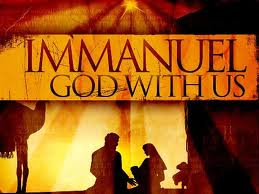 Thank you Lord for Immanuel. Glory to God in the highest heaven, and on earth peace to those on whom his favor rests! His favor rest on everyone who reads this blog. Do you know you are highly favored? Merry Christmas! May the peace of God be with you all! I wish God would get off His throne and come down here! Mathew 1:22-23 All this took place to fulfill what the Lord had said through the prophet: 23 “The virgin will conceive and give birth to a son, and they will call him Immanuel” (which means “God with us”). God has been down here! He was here with Adam and Eve in the garden. God was down here in the form of a baby that grew into a man and then He went back into heaven. He has been down here. His Spirit is here now…in me…and in anyone who has accepted His person appeal to receive Jesus Christ as His personal Lord and Savior. God is a very personal God and inhabits us when we praise Him and abides in us when we pray and talk with Him. I am not alone…God is with me all the time. I don’t feel alone anymore. I always have God….I need Him in my life and when I got this fact in my head/mind…I became much more relaxed and peaceful. That’s why I cry and tell people that I love the Lord so much because I feel God with me and I feel His love for me. If I get to a spot where I don’t feel this( we’re human…it happens sometimes)….it’s me and not God. He is always near me…but there are times I take my eyes, mind, and meditative thoughts off of Him. That’s when I can feel alone. 3. Listen to a sermon…live, recorded or on the radio or internet. 5. Meditate on all He’s done for me. The fact that God Himself came down here to be with us and has adopted us into His family and will give us immortality one day and allow us to live with Him without anymore suffering is so exciting and comforting to me. 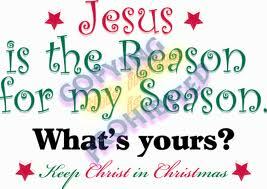 Christmas is very special to me because my God took action….He took matters into His own hands. He thought about me and made a plan to come to earth in the form of mere mortal and allowed horrible things to happen to Himself…for me…and for you. His Spirit whispered in my ear about Him until I took His words to heart and committed myself to Him and He filled me with His continual presence in my life. Yes…God got off His throne and came down here. Emmanuel… Emmanuel… Emmanuel!!!! 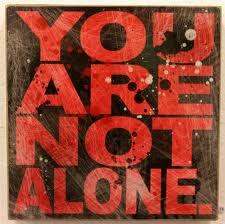 Message for today: We are not alone…. 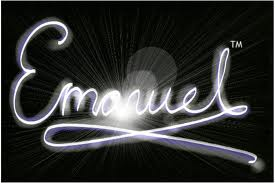 Emmanuel. He came down and carved His name in a tree so that we would know that He was here. I love you Jesus/God.